Barry Richman, Robert Meadows, Angela Reign, Tim Pace, Roger Andes and Matt Pawlowski. 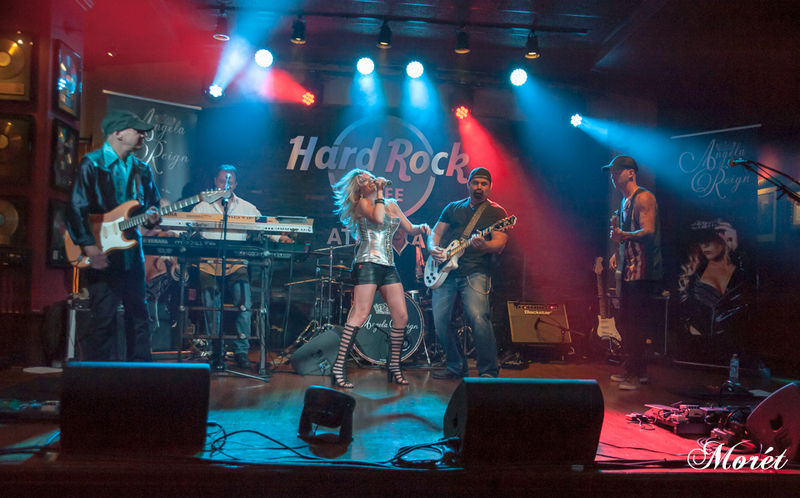 Atlanta's Hard Rock Cafe played host to award-winning Angela Reign and her band on Saturday, May 23. The School's Out Party was filled with the passionate and high-energy music for which Reign is known. 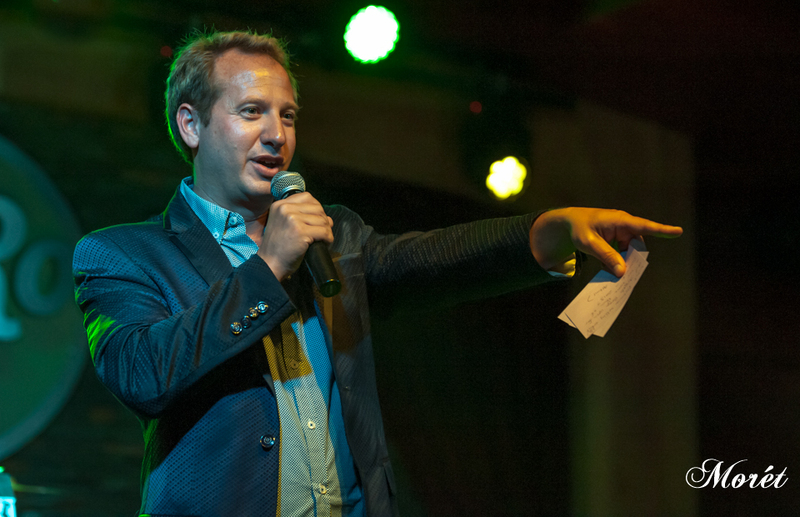 Atlanta Magician of the Year, Joe M. Turner emceed the event and entertained the crowd between sets. 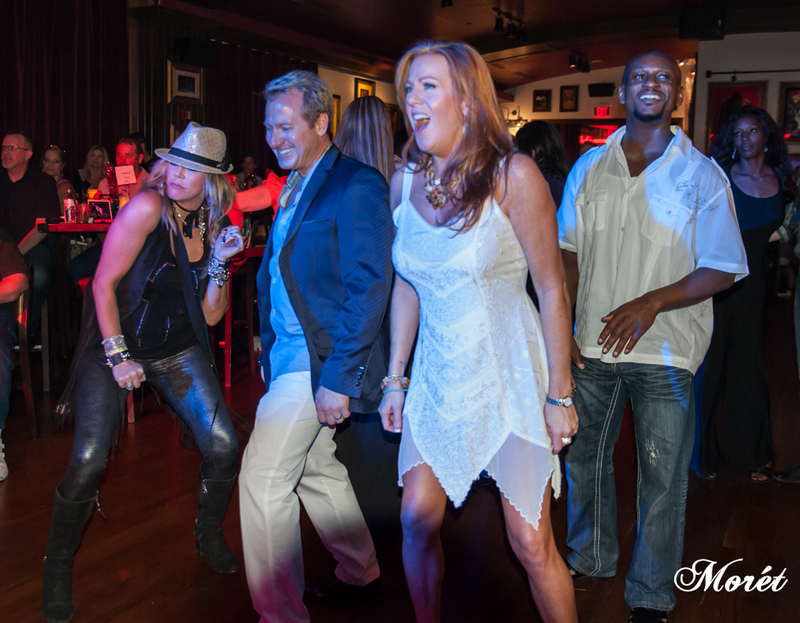 Guitar legend Barry Richman and the magical Robert Meadows joined Ms. Reign for an evening that will long be long remembered. The magic of Joe M. Turner. Mike Waller announcing the winner of a trivia question. The amazing Angela Reign with Tim Pace. 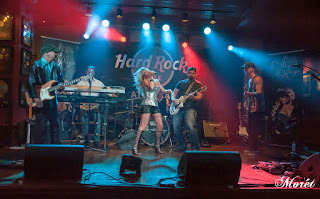 Barry Richman, Robert Meadows, Angela Reign and Tim Pace. Angela Reign, Roger Andes and Matt Pawlowski. 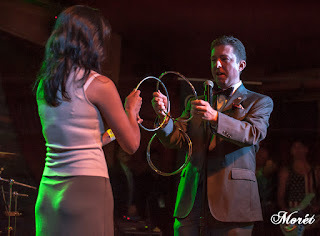 Angela Reign and Barry Richman with Tim Pace on drums. 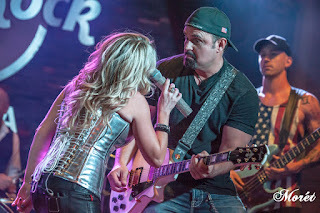 Roger Andes leads on guitar as Angela Reign belts out a ballad. Shoe shot ... it's a girl thing. because you've got to have at least one in black & white. Ha! 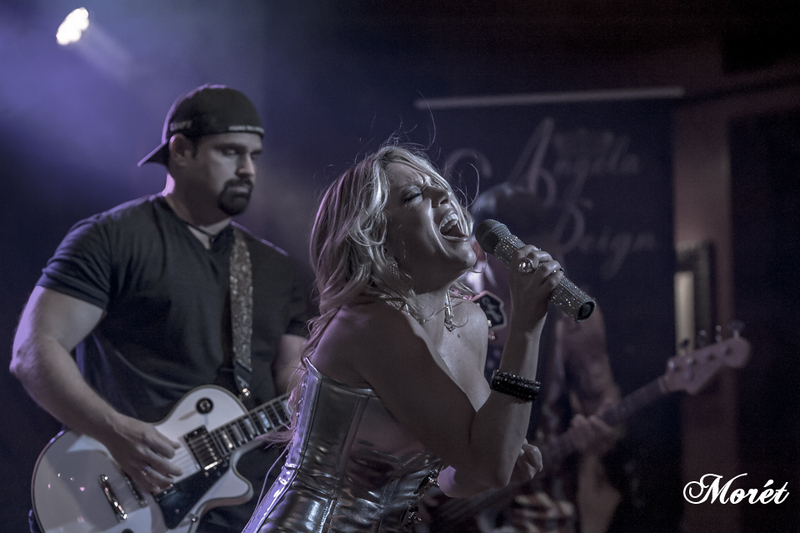 Angela Reign's heart and soul are in her music. 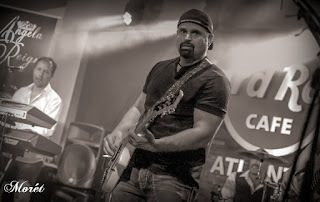 and Robert Meadows accompany them. 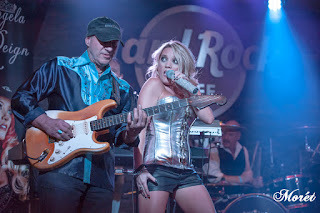 It isn't rock & roll if you don't toss your hair ... Angela Reign with Roger Andes. Mike Waller along with friends and family dance the night away. For more information about Angela Reign, visit angelareign.com.